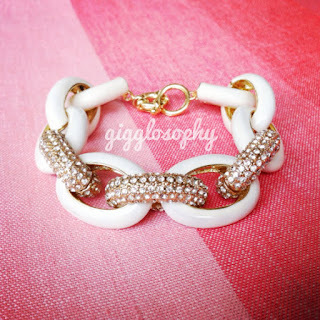 Everyday Fashion and Finance: Gigglosophy Giveaway! 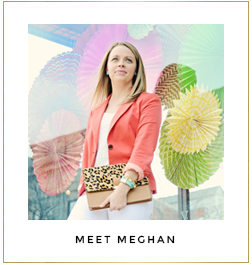 If you've been a reader of this blog and a follower on Instagram, then you know I have a love obsession with the Etsy shop Gigglosophy. Gigglosophy and I go back to before my blogging and Instagram days. 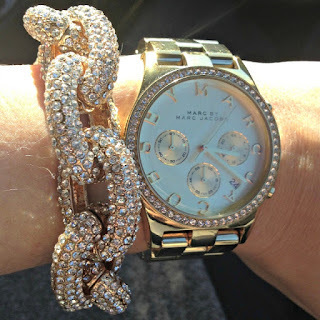 I was on the hunt for a more affordable, yet good quality, pavé link bracelet. 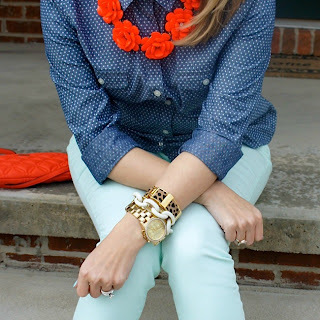 My husband had just bought me a fabulous pair of Tory Burch flats as a gift, so the J.Crew bracelet was just not in the cards. Knowing I had luck buying jewelry on Etsy before, HE actually found Gigglosophy! And that, my friends, is when my love for Gigglosophy was born! Best. Husband. Ever. Gigglosophy has since been on the blog a few times, including featured in my second ever blog post and then again in the Etsy Love post. The shop's pavé and enamel link bracelets are clearly my favorite, as I now own three! I wear one of these bracelets almost every day. They are perfect to wear alone or stacked. And since a good arm party is just not complete without a gorgeous link bracelet, I have teamed up with Tanya from Gigglosophy to give one lucky reader a chance to win a gorgeous white enamel and pavé link bracelet from her shop! My white link bracelet is my favorite for summer and adding pavé = PERFECTION! 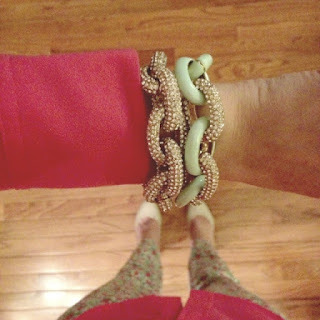 Check out a few of my Gigglosophy bracelets and how I have styled them and then enter the giveway in the Rafflecopter below! I seriously cannot say enough about Tanya and her shop! She is an absolute pleasure to work with . 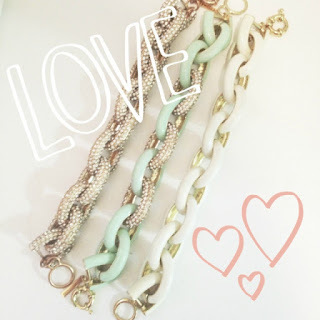 Her items are gorgeous and high quality, and they arrive fast! In addition to the link bracelets, I also bought my spike bracelet from Tanya, which I wear almost daily as well. Happy customer here! You can check out Gigglosophy on Etsy, Facebook and Instagram! GOOD LUCK! !